Periodontal therapy is used to restore health to gums that are inflamed and infected. When these soft tissues at the base of your teeth are compromised, serious consequences can occur. Montevallo Family Dentistry specializes in treating periodontal disease, including mild and severe cases. We stress the importance of attending your routine dental exams and general dental care, as this gives us the opportunity to assess your gum health and recognize early signs of infection. At the beginning stages of periodontal disease, treatments are conservative and highly effective. However, if you are suffering from more advanced stages of gum disease, we are fully equipped to offer the necessary therapies to protect your smile. Dr. Shunnarah is a skilled and gentle dentist with extensive knowledge in gum infection treatment. 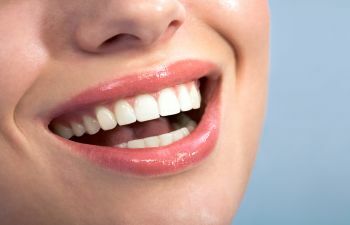 Whether we are addressing signs of gingivitis or treating advanced periodontitis, you can trust that our team utilizes the most advanced techniques and technology in the industry. While we always seek the most effective outcome, we value your comfort in the process. Dr. Shunnarah treats gum infections using the minimally invasive therapies, including ultrasonic cleaning tools as well as soft tissue dental lasers. All our treatments are designed to eradicate harmful bacteria within the gums and encourage the gums to reattach to the tooth root. Left untreated, gum disease can destroy tissue and bone and lead to tooth instability. Most mild to moderate cases of gum disease can be remedied with scaling and root planing, also known as a “deep cleaning”. This is typically performed on one quadrant of your mouth at a time. During this procedure, Dr. Shunnarah will use ultrasonic and handheld cleaning tools to remove bacteria and hardened plaque along the gum line, on the tooth surface and within the deep pockets of tissue. Next, the rough surfaces of the tooth root are smoothed out (root planing) so that the gums can reattach. Our use of state-of-the-art technology allows us to deliver powerful, yet gentle methods to reverse gum disease. Could your smile benefit from periodontal therapy? Please contact our office today to schedule an appointment with Dr. Bobby Shunnarah. We are proud to be Montevallo’s most trusted family dentist.